"...devs can now take advantage of the familiar revenue booster already available in the iOS App Store and Google Play, through the use of the Amazon Appstore In-App Purchasing API." One of my favorite things about Android is the way you're not forced to get apps from one place. 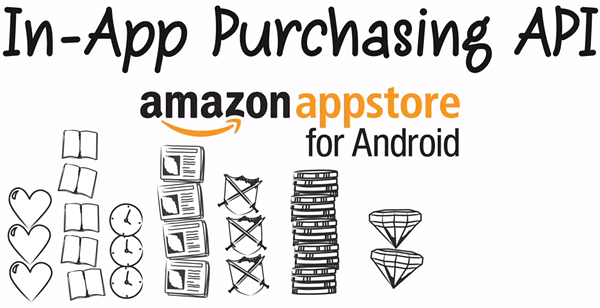 Amazon Appstore has been around for just over a year now and it's come a long way. It seems to have tons of apps and now with in-app purchasing it should be attractive to some developers who may have been holding out. Another feature they added recently was the ability to up the download limit over 3G from 20MB to 50MB. It's still 20MB by default but instead of just smaller options, they have added a 50MB option.